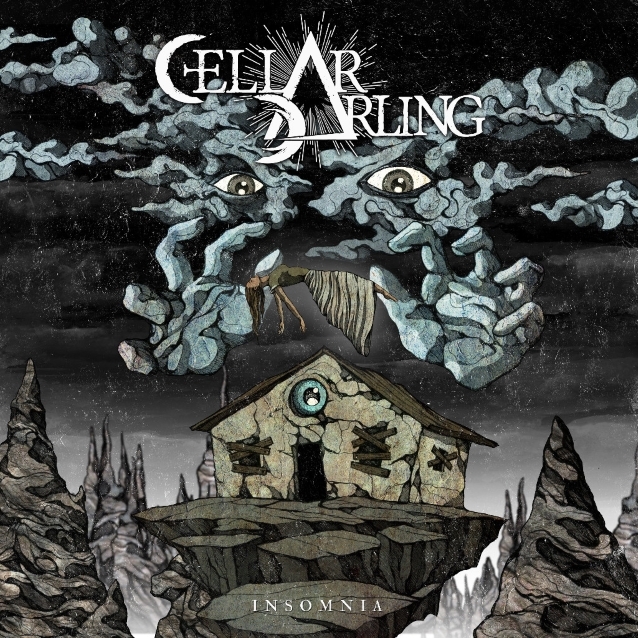 CELLAR DARLING, the band featuring former ELUVEITIE members Anna Murphy (vocals, hurdy-gurdy), Merlin Sutter (drums) and Ivo Henzi (guitars, bass), has taken a turn towards heavy progressive rock with the release of “Insomnia”, the first single from its upcoming second album, due next year via Nuclear Blast. The track surprises on every level and takes the listener on a dark and sinister trip, illustrated beautifully by a mesmerizing animated video. Each part of this epic song outdoes the previous one on a musical journey that blends the band’s heaviest side together with hurdy-gurdy, flute, grand piano and a hammond organ, culminating in a grand finale that will leave the sonic traveller speechless. The official video for “Insomnia” was created by Costin Chioreanu and can be seen below.